I actually did this for Mother's Day and she loved it, so I was thinking I would the same for my dad. 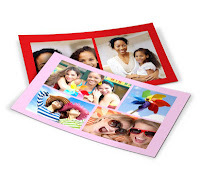 Well, Walgreens made the decision easy - they are offering a FREE photo collage print through Saturday. It's so simple but looks like it took you forever to do. Get some pictures, upload them to Walgreens, and it will automatically create your collage. Then enter promo code DADCOLLAGE and go pick it up. I'd be remiss if I didn't mention Walgreens is also offering some other great deals. Get 50 4x6 Prints for only $5, 30% off all other same-day photo pickups, and 33% OFF photo cards. Pick them up at the store or spend $25 to get free shipping. Click here to go to Walgreens and start building your collage.